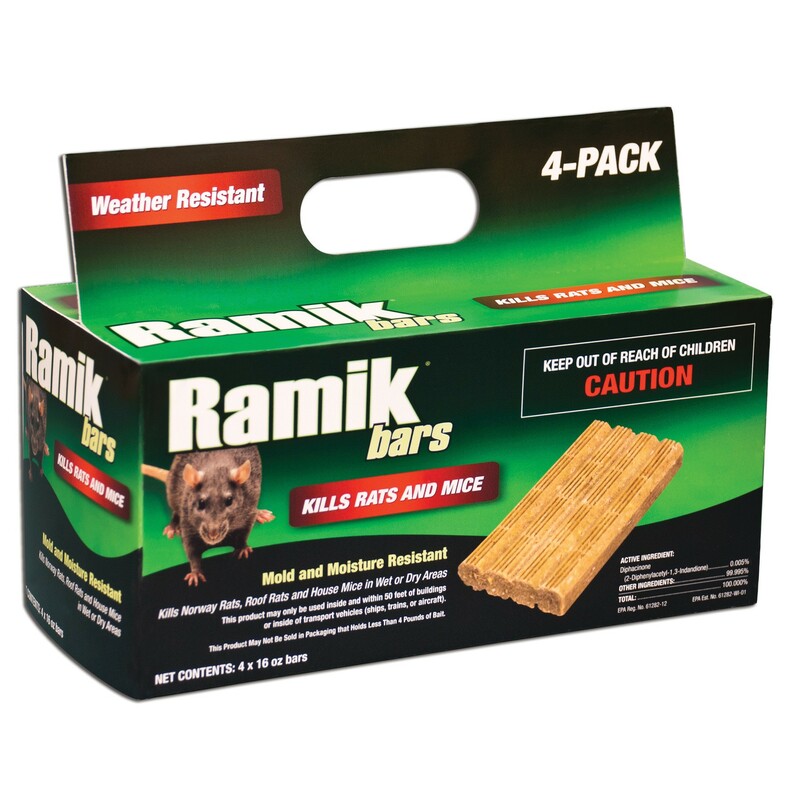 The ingredients in Ramik® Bait Bars are fully blended, bonded and shaped into weather-resistant bait bars. A small amount of edible wax is added form these uniformly sized bars. Areas for Use: In and around homes, industrial, commercial, agricultural, public buildings and similar man-made structures. May also be used in transport vehicles (ships, trains, aircraft) and in and around related port or terminal buildings. Warnings: Do not apply further than 50' from buildings. Do not use in edible product areas of food or feed processing plants or other areas where food or feed is commercially prepared or processed. Do not contaminate food/feed or food/feed handling equipment or place near or inside ventilation duct openings. Do not broadcast bait. When used in USDA inspected facilities, this product must be applied in tamper-resistant bait stations.